Grizzly is a handsome 90 pound chocolate male with a classic blockhead and strong square muscular body. Grizzly is a loveable dog with a great personality. He loves to please. 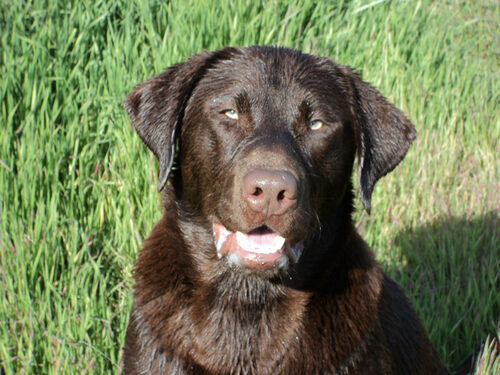 You'd be hard pressed to find a another chocolate labrador pedigree with championship titles and bloodlines like his. 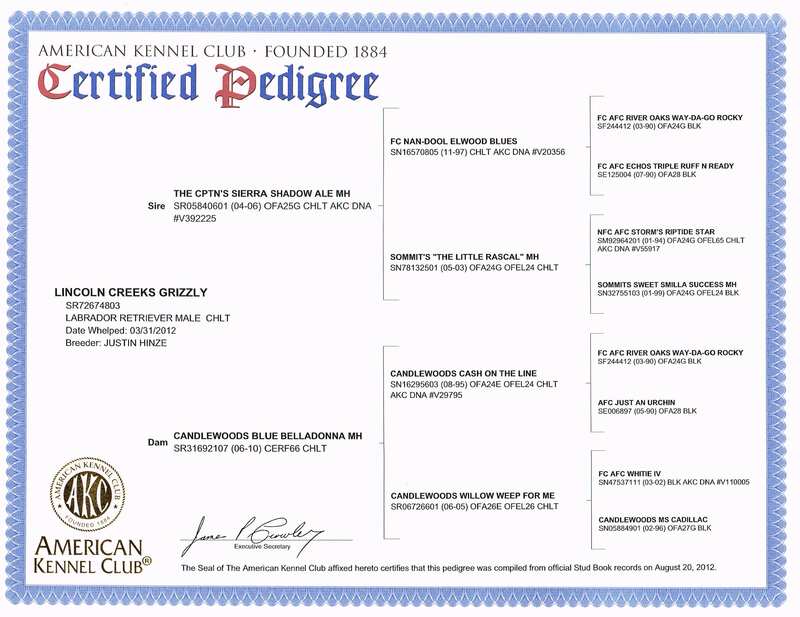 Grizzly's father is GMPR The Captns Porter senior and master titled hunter. His grandparents and great grandparents include: FC Nan-Dool Elwood Blues, Sommitt's Little Rascal MH, FC AFC way-Da-Go Rocky, NFC AFC Storms Riptide Star, NAFC FC AFC Ebonstar Lean Mac, among many others. Grizzly's pups are smart, willing with his stunning good looks and warm and friendly disposition.